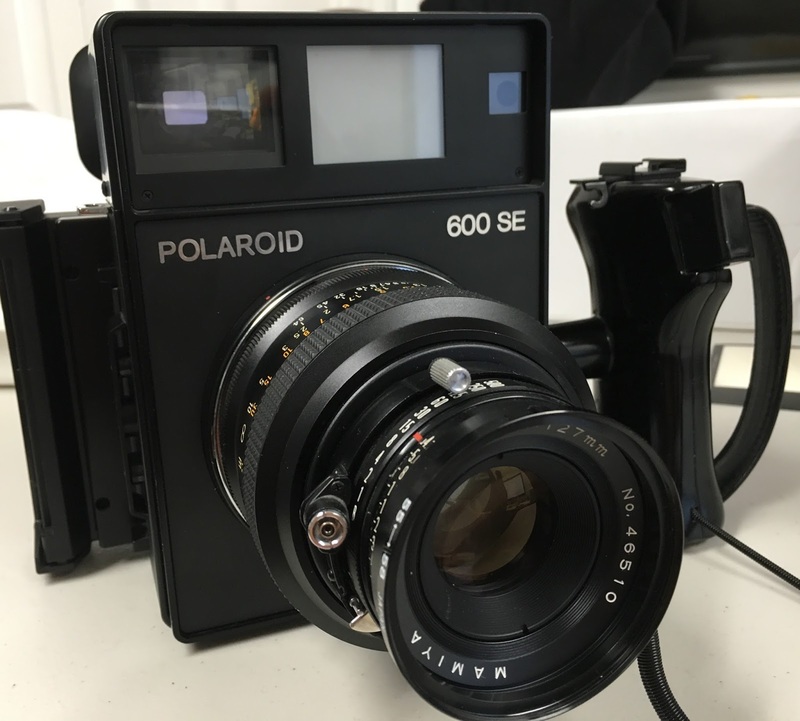 The Polaroid 600SE lovingly also called the Goose (can you see GOOSE in 600SE), is a formidable manual and interchangeable lens camera. It comes with 3 different manual leaf shutter lenses - 75mm, 127mm and 150mm that allow a photographer unprecedented control over shooting peel apart and integral film. Traditionally it is used for peel apart film from Polaroid or Fuji, reason being it came with a Polaroid back that took peel apart film like the FP-3000b, FP-100c etc. However Polaroid did make an integral film back called the CB-72 that was used in a completely different domain - ophthalmic photography which was primarily taking photos of eyes/retina. The beauty of this back is its ability to take standard polaroid integral film cassettes, or today - Impossible SX-70 or 600 type films. Among other benefits - it allowed the user to push a button to spit out the film after exposure unlike every other instant integral camera which does it as soon as you hit the shutter. With the Polaroid 600SE, you can compose, shoot and wait till you decide to eject the film! What that allows is great multiple exposure opportunities for the instant shooter. Hence it was just a matter of time people wanted to use this CB-72 back with the Pola Goose to have absolute control of the image-making workflow. Just remember that connecting the CB-72 to the Polaroid Goose requires some DIY hacks including finding a suitable adapter that helps connect the back to the camera - not a big deal. Hope you enjoyed this quick overview. Does the back have its own battery? I'm thinking of getting one and shooting I-Type film with it.